What makes Cabo San Lucas Ideal for Vacation Ownership? Home » Blog » Destinations » Cabo San Lucas » What makes Cabo San Lucas Ideal for Vacation Ownership? If you’re looking for a place in which to invest in vacation ownership we would like to put forth Cabo San Lucas as a prime place in which to do so. This is not only a place which benefits from great weather and a lower cost of living, but is also phenomenally beautiful. The landscape is really quite stunning, and the city itself is chock full of all the amenities that snowbirds and retirees need to make their stay (or new life) pleasant and stimulating. Here’s what we think makes Cabo San Lucas an ideal place for your vacation ownership dreams. If you love to experience nature and the natural world you couldn’t hope for a better place to be than Cabo! Here desert landscapes meet mountains, lush vistas and crystalline waters. This is the ultimate hotspot for walks in the twilight, strolls along the beach at dawn and plenty of sunny selfies. What’s more you’ll get just the right weather to enjoy the very many activities that can be found here! On the wonderful beaches you will find water sports, great waters for swimming and great beach bars and bistros for you to enjoy. There’s also the El Arco rock formation which is a truly unique place; this is the only place in Mexico where you can swim in a sea and an ocean at the same time! Here the Sea of Cortez and the Pacific Ocean meet, and there are plenty of tours and water taxis which will get you close to it! As you get out to the deserted areas outside the city you’ll be able to take ATV, horseback and camel tours through the wonderful scenery. Cabo san Lucas is somewhat of a celebrity destination, and has many famous faces in part-time residence. As you might imagine, therefore, luxury and sophistication are to be found in abundance here. The shopping malls, boutiques and bars are some of the best in Los Cabos. The area in and around the Marina, in particular, has some of the very best bistros, wine bars, restaurants and boutiques in the city. Golf lovers will, no doubt, rejoice at the fact that there are a variety of wonderful Golf Clubs in the city, more than one of which has a Championship standard course. Jack Nicklaus really put Cabo San Lucas on the golfing map in the 90’s when he designed the Palmilla Cabo del Sol and El Dorado golf clubs, but since then people lie Tiger Woods, Greg Norman and Davis Love III have also built courses here. 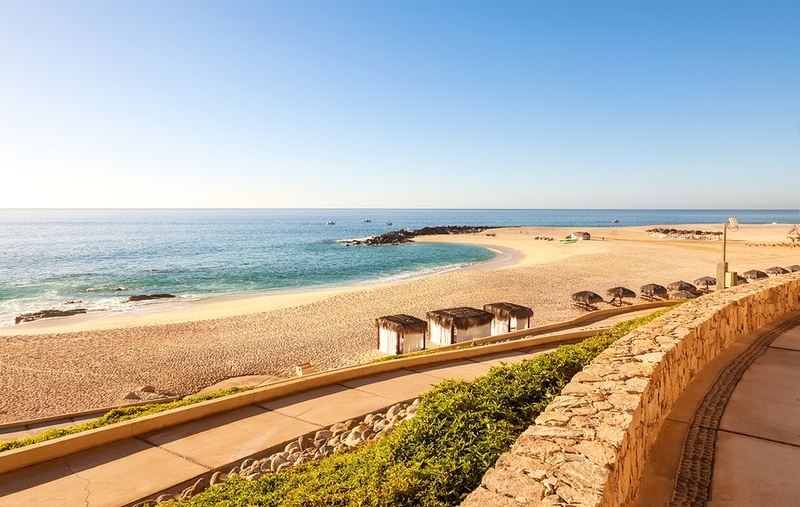 Golf isn’t the only special item on this menu in Cabo; from November to March you can go whale watching, and there is, quite frankly, no better place to learn how to scuba dive or jet-ski.